When the new government was sworn in last year, one of its first priorities was to tighten policy around foreign ownership of New Zealand property. This issue has created doubt and a gap between buyers and sellers on the perceived value of certain farms. Only a minimal proportion of farm transactions involve foreign ownership. 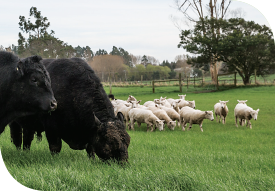 Of the approximately 1,000 rural and farm sales PGG Wrightson Real Estate processes nationwide in an average year, the number involving non-New Zealand residents or corporations is statistically insignificant, typically between one and two per cent of all rural property sales. For the clear majority of farm sales, buyers are local. For any salesperson marketing a farm, the first option is always to foster ‘through the fence’ relationships. A neighbour, or someone else nearby, is invariably the most likely farm purchaser. Overseas investment changes will not affect that, other than for a handful of sales each year. Once the OIO starts to announce decisions under its new guidelines, that uncertainty should be resolved. To have foreign investment taken out of the equation, even if only temporarily, and even if only for a small fraction of transactions, has altered perceptions on values. They should come back into line once the true picture is revealed. Logically, with so few sales involving foreign investment, what is most likely is that these changes will make no appreciable difference to the value of rural property transactions. However, only when the market witnesses that will perceptions around this issue relax again, at which point the number of sales will start to resume at a more normal rate.